A novel artificial intelligence (AI) system could dramatically reduce the time needed until abnormal chest X-rays are reviewed by expert radiologists - cutting the average delay from 11 days to less than three days. 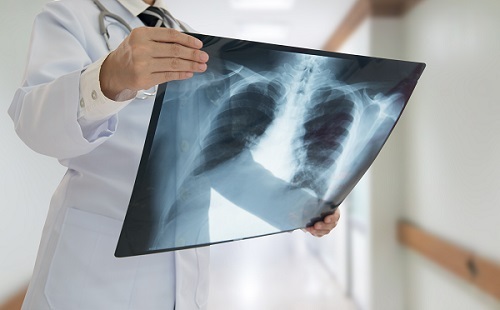 Chest X-rays are routinely performed to diagnose and monitor a wide range of conditions affecting the lungs, heart, bones, and soft tissues. Researchers from WMG at the University of Warwick, working with Guy's and St Thomas' NHS Hospitals, extracted a dataset of half million anonymised adult chest radiographs (X-rays) and developed an AI system for computer vision that can recognise radiological abnormalities in the X-rays in real-time and suggest how quickly these exams should be reported by a radiologist. In the process of building the AI system, the team developed and validated a Natural Language Processing (NLP) algorithm that can read a radiological report, understand the findings mentioned by the reporting radiologist, and automatically infer the priority level of the exam. By applying this algorithm to the historical exams, the team generated a large volume of training exams that allowed the AI system to understand which visual patterns in X-rays were predictive of their urgency level. The results of the research are published in Radiology in a paper entitled "Automated triaging and prioritization of adult chest radiographs using deep artificial neural networks." WMG's Professor Giovanni Montana said: "Artificial intelligence led reporting of imaging could be a valuable tool to improve department workflow and workforce efficiency. The increasing clinical demands on radiology departments worldwide has challenged current service delivery models, particularly in publicly-funded healthcare systems. "It is no longer feasible for many radiology departments with their current staffing level to report all acquired plain radiographs in a timely manner, leading to large backlogs of unreported studies. In the UK, it is estimated that at any time there are over 300,000 radiographs waiting over 30 days for reporting. "The results of this research show that alternative models of care, such as computer vision algorithms, could be used to greatly reduce delays in the process of identifying and acting on abnormal X-rays - particularly for chest radiographs which account for 40% of all diagnostic imaging performed worldwide. The application of these technologies also extends to many other imaging modalities including MRI and CT."